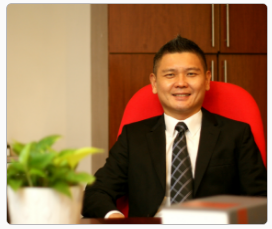 Ben Ree is a graduate of University of Malaya, Kuala Lumpur and was called to the Malaysian Bar in 1996. He has over twenty one (21) years of active practice experience specialising in corporate finance, capital markets and corporate and commercial matters. Prior to founding our firm, Ben Ree was a Partner of the Mergers & Acquisition, Corporate Finance and Capital Markets practice group at Messrs Zul Rafique & partners. Ben Ree brings with him his wealth of experience having advised on more than twenty (20) initial public offerings, reverse take-overs and debt restructuring exercises in Malaysia and abroad. He has undertaken various other corporate exercises including transfers of the listing status of public listed companies to the Main Market of Bursa Securities, rights issue exercises, warrants issue exercises, private placement exercises, private debt securities exercises and employees’ shares option schemes. In addition, Ben Ree has also advised on various mergers and acquisitions involving financial institutions, insurance companies, foreign companies and public listed and private companies incorporated in Malaysia. Ben Ree also holds an LL.M. International Economic Law from the University of Warwick, England.